At the law firm of Young Conaway Stargatt & Taylor, LLP, in Wilmington, we represent victims and their families throughout Delaware. Founded in 1959, our law firm has a reputation for getting results. We are passionate about protecting the rights of victims and fighting to get them the best possible outcome in their specific case. 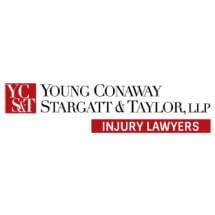 At Young Conaway Stargatt & Taylor, LLP, we know what it takes to effectively represent your best interests from start to finish. We will always fight to protect you and your family. Our lawyers will never push you to settle your case. We know the impact your injuries will have on the rest of your life — we are here to help you find the best resolution to this difficult situation. Call our law firm for a free initial consultation at 888-395-7576 today.